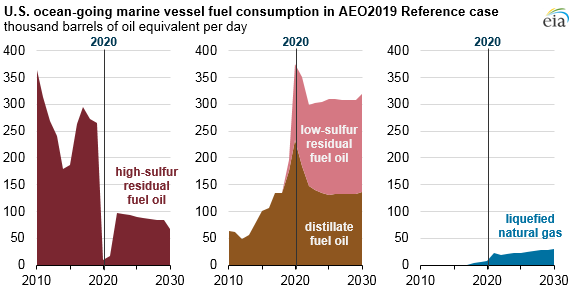 The implementation of new regulations affecting marine fuel specifications will have implications for crude oil and petroleum product markets over the coming decade. 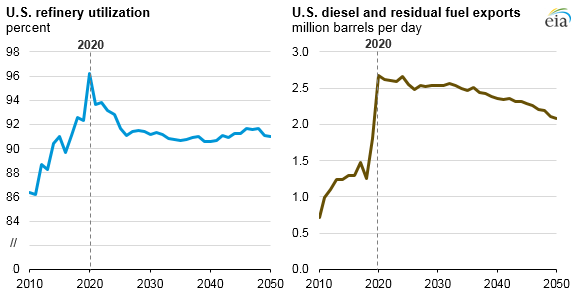 Previous Today in Energy articles described this regulation and the short-term implications for refining margins through 2020. Today’s article discusses the longer-term implications of the market changes projected in EIA’s recently released Annual Energy Outlook 2019, as the response to these regulations will likely involve changes to ships, marine fuels, refining, and some infrastructure in the next six to eight years.